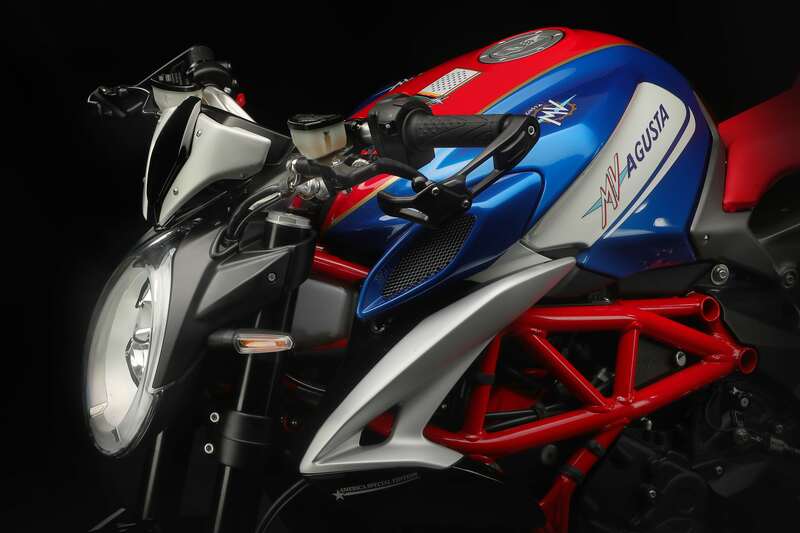 Varese, 4th November 2018 – The name “America” holds a prominent place in the MV Agusta heritage. The primary reference is to the “S America 750”, a model that dates back to 1975 and which boasted an in-line four-cylinder engine with dual overhead camshaft, 75 horsepower and air cooling. More than 25 years later, it was the first Brutale, the four-cylinder designed by Massimo Tamburini, to revive the name “America” with an immediately recognisable colour scheme: red, white and blue. Fast forward to the year 2012, it was time for another rendition of the Brutale America, also on a four-cylinder platform. 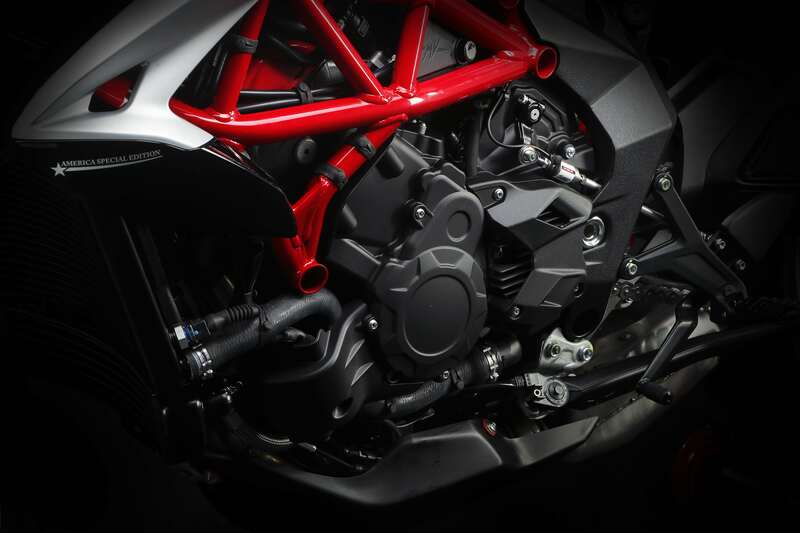 The very first three-cylinder Brutale America was introduced last year. Precisely because of the success of this version, the CRC workshop conceived a new interpretation on the Dragster 800 RR platform. 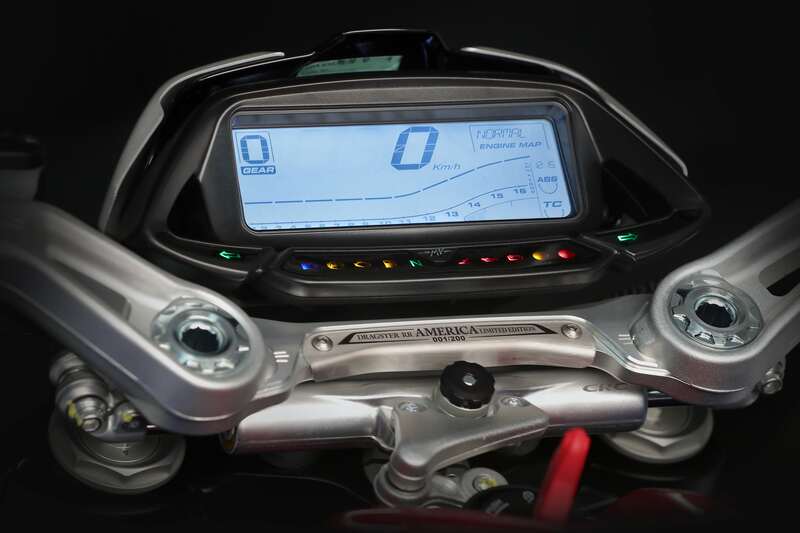 This brand new “America” reiterates the attractive colour scheme on a mica blue base with iridescent reflections and horizontal graphic cuts that enhance the original characteristics of the Dragster 800 RR: irreverent design, top shelf technical features and as always an extreme attention to detail. 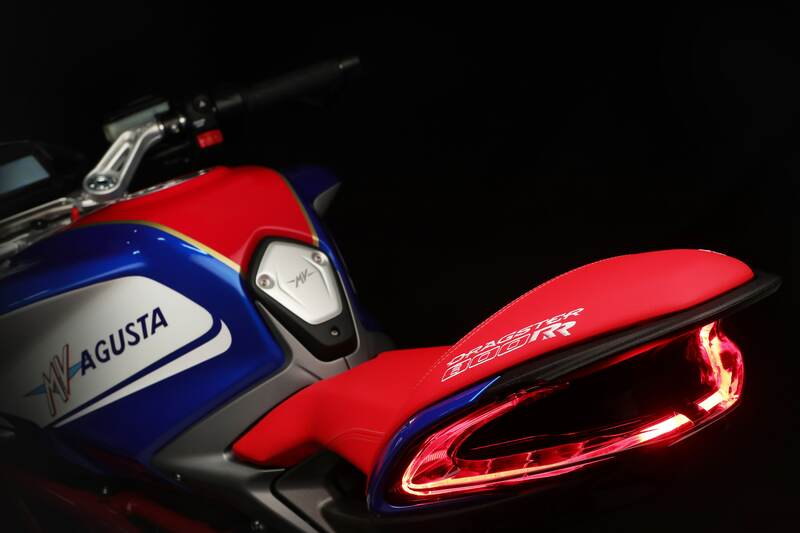 The upper part of the fuel tank is adorned with stars, just like on the 750 S from forty-five years ago. The saddle boasts stitching with gold highlights and unique materials for the areas dedicated to the rider and the passenger. The beautiful spoke wheels pay homage to the colours of the American flag: blue hub, red spokes and white rim.